Click here to visit FanDuel! FanDuel is an online fantasy sports service that puts a spin on the traditional fantasy sports model. FanDuel is a premium service that generated more than $400 million in prizes in 2014 alone, and its non-traditional spin has earned it numerous honors, including the 2010 Best Sports and Entertainment Award by Techcrunch and the 2012 Innovation Index Winner by Mashable Sports. The FanDuel service caters itself to the North American market and thus tends to place emphasis on the National Football League. In fact, the NFL season is typically when FanDuel reaches its traffic and prize peaks. FanDuel is a year-round service, however, and it fully supports the other major American sports: baseball, basketball and hockey or MLB, NBA and NHL. 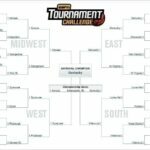 FanDuel supports collegiate sports as well, but that support is currently limited to NCAA football and NCAA basketball. The most glaring omission in the FanDuel offerings is the sports of soccer. Fútbol is of course not as popular in the United States as it is elsewhere in the world, but interest is growing. Major League Soccer represents the highest level of play in the U.S. and Canada, and FanDuel has indicated that adding MLS and FIFA support is under consideration. Other missing sports that already have a strong fan base in North America are PGA golf, the UFC and other MMA leagues, boxing and NASCAR racing. Traditional fantasy sports, which has its roots in Rotisserie-style fantasy baseball became mainstream with head-to-head fantasy football which is played over the course of an entire season. In other words, the team a player drafts is largely the team he or she competes in the championship with. A possible downside to this classic approach is that an injury or a mistake can have season-long ramifications, and it is possible to suffer an injury or make a mistake that makes a team non-competitive very early on. FanDuel is different in that most leagues last no longer than a month, and the predominant FanDuel league lasts just seven days for the NFL and just 24 hours for NHL, MLB and NBA. Various contest formats are supported, including leaderboards, tournaments, head-to-heads, and 50/50s. Every league has a prize structure based on the buy-in minus FanDuel’s cut. At the end of the period, winners are determined, prizes are paid out and that particular league closes. Players are free to join a new league at any time, and they can play multiple games a day, week and month. The FanDuel registration process is simple and straightforward. Prior to joining the service, a client must agree to the terms of service, be at least 18 years of age, be a citizen or resident of and be physically located in the U.S. or Canada. Navigate to the FanDuel website and click on the green Join button in the upper right-hand corner. Enter a full name, valid email address, a screen name and a password. After entering that information and before clicking Join Now button. After registering your account, you will be prompted for the amount you wish to deposit. All new customers will receive 5 free entries into real money contests. However, the value of each entry is determined by the amount of your initial deposit. Depositing $200 or more at once will maximize the value of your 5 free entries at $10 each for a total value of $50. Read more about the FanDuel promo here. FanDuel requires a minimum deposit of $10. The banking system is straightforward and resembles the checkout process of nearly any Internet store. The client enters the amount to be deposited into his or her FanDuel account, enters payment information, verifies that information and then clicks submit. Most deposits process within seconds. If there is a welcome bonus or other promotional opportunity active, the checkout screen will indicate the bonus amount. Note, however, that bonus money is not deposited automatically but instead doled out at the rate of 4 percent of any entry fees paid. FanDuel accepts deposits via all major credit, debit and prepaid cards, but withdrawal via these methods is not currently supported. 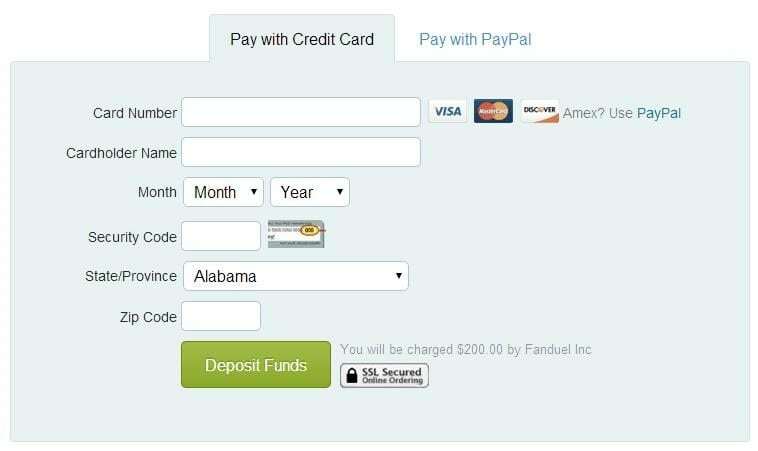 FanDuel also accepts PayPal deposits. PayPal is also the preferred withdrawal option at FanDuel, and the processing time on such withdrawals is 48 hours. Customers who do not have or choose not to use PayPal can request payout by check instead. There is no charge for receiving a check, but the processing time can be longer than a week. Note that customers who pay via international means may be charged international transfer fees, but FanDuel reimburses for those charges upon request. Due to the format of the NFL season, FanDuel fantasy football leagues are generally played on a weekly basis. The most common format for these leagues is a salary cap, which eliminates the need to draft as a group. All athletes are assigned a monetary value for the given week, and a team owner handpicks his or her roster without going over the salary cap. Players earn points similar to traditional H2H fantasy football, and it is important to study the scoring table for a particular league in order to evaluate players accurately. Winning teams will have stars on them, but often, the key to success is finding under appreciated talent, such as a low-cost running back provided additional opportunities due to an injury. We recommend reading this guide on how to play fantasy football. For basketball, one-day leagues are more prevalent than weekly leagues and longer formats due to the nature of the NBA schedule. Basketball leagues also use a salary cap format, which means that there is no draft, team owners dictate their own roster without going over the salary cap and a player can exist on multiple rosters simultaneously. There are usually at least 3,000 daily leagues to choose from every day of the NBA season. Rosters must be set prior to the tipoff of the first game, which may be 9am Pacific time on Saturday. Leagues are processed and winners are paid immediately following the ending buzzer of the final game of the NBA schedule that day. 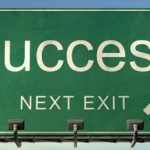 That’s it, earn enough points to make it into the money and get paid immediately! Of course, the rules for playing daily fantasy is very simple, but it’s not so easy to win. There’s actually a lot of strategy and luck involved in putting together a great team. You have to consider the matchups, the quality of opposing defenses, injuries, traveling for away games, minutes of play (or snaps), etc. – there are a lot of factors to consider which makes playing fantasy sports very fun and very challenging. Check out FanDuel, you’ll love it! 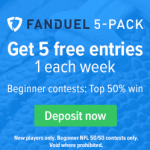 You can read a detailed review of FanDuel at FantasyFootballers.org. Is FanDuel legit? Find out at https://legitorscam.org.